DESCRIPTION Hoping for a simpler life? This home is ideal for those looking for freedom from lawn work & shovelling snow - those who would rather get out to enjoy life, or lockup & go travel without concern for outside chores & maintenance. 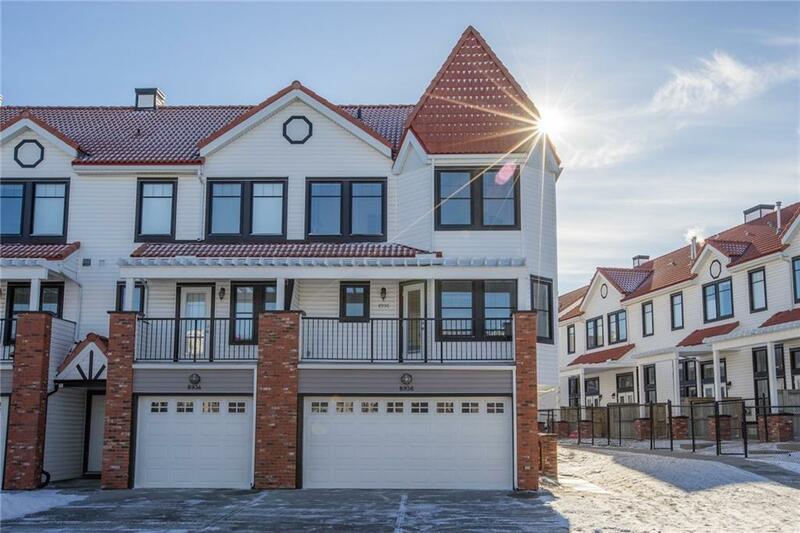 Beautiful 4 storey end unit w huge south facing windows that flood the home w natural light. Vaulted living room w fireplace & glass doors opening onto a fenced patio that backs onto a large common courtyard. Open concept dining, kitchen & family room on the main level w access to a balcony. Unique upper level offers 2 master bedrooms w their own ensuites - perfect for a room-mate or families w 1 child. One of the masters is a true retreat that is very spacious w beautiful windows & space for a private sitting room. Basement was developed by the builder & is ready for your design ideas - would make a great workout room or media room. Side entry has a heated floor & access to the insulated & drywalled double garage. Convenient living close to shops, restaurants, parks & schools.